I wasn’t sure how this was going to come out last night, but it was great! The deer sausage had a nice smoky flavor and the almond flour roux gave it a nutty undertone. 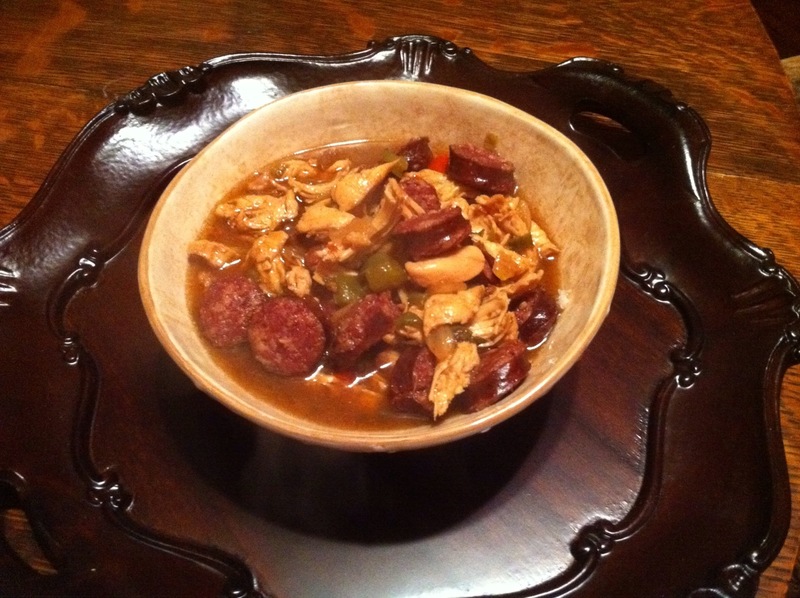 This Paleo gumbo was adapted from Paul Prudhomme’s recipe (seriously!). Serve over chopped cauliflower and you don’t even miss the rice! This looks great! Hate I wasn’t invited! I have a couple of dinner photos to post, but mine aren’t nearly as pretty as Ernie’s and your’s.